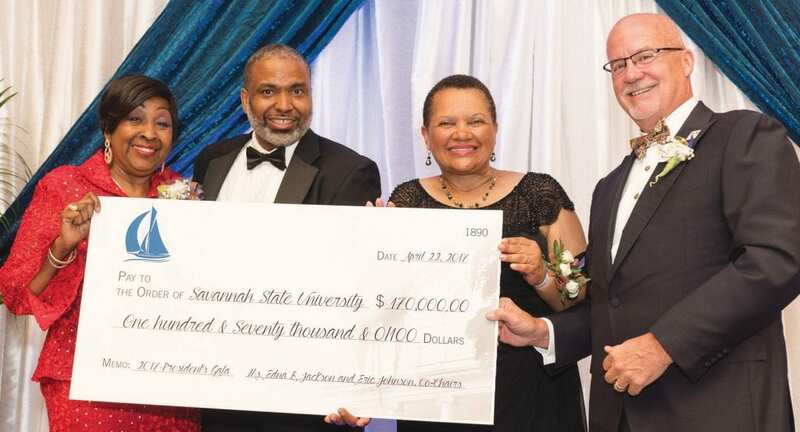 Savannah State University (SSU) held its annual President’s Gala on April 22, 2017. The year’s premier fundraising event raised about $170,000 for student scholarships. SSU also presented the 2017 Awards of Excellence for Noteworthy Leadership, Scholarship, Service and Philanthropy. 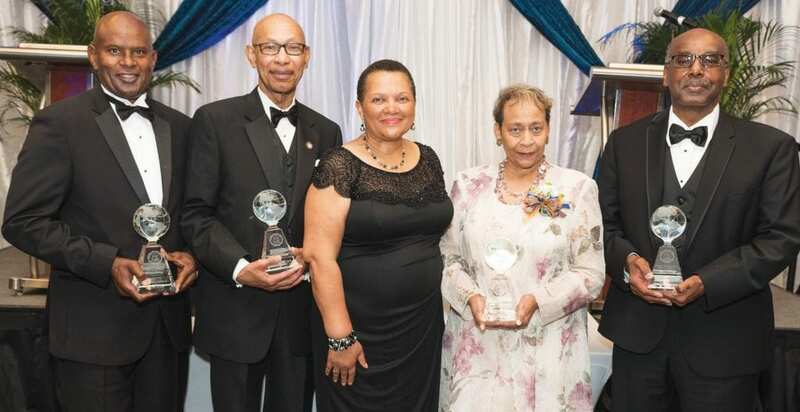 President Cheryl D. Dozier is pictured in the center with award recipients: (L-R) Capt. Donnie Cochran (ret. ); Otis S. Johnson, Ph.D.; Annette K. Brock, Ph.D., for King-Tisdell Cottage Foundation; and Henry Nash.